Designed by Jeanne Gang’s Studio Gang in a collaboration with the architect of record, bKL Architecture and developed by Magellan Development Group and Dalian Wanda Group, the tower will house 406 condos and a 192-room five-star hotel on its lower floors upon completion. Vista Tower supersedes Jeanne Gang’s Aqua Tower at 225 N. Columbus Drive as the tallest building designed by a woman-led American architecture firm and features a grouping of 3 connected buildings with an angular facade. With interiors designed by Gensler and landscape design by Olin Studio, the total area of the building will be 1,414,378 square feet once completed and add to Gang's contributions to Chicago architecture. 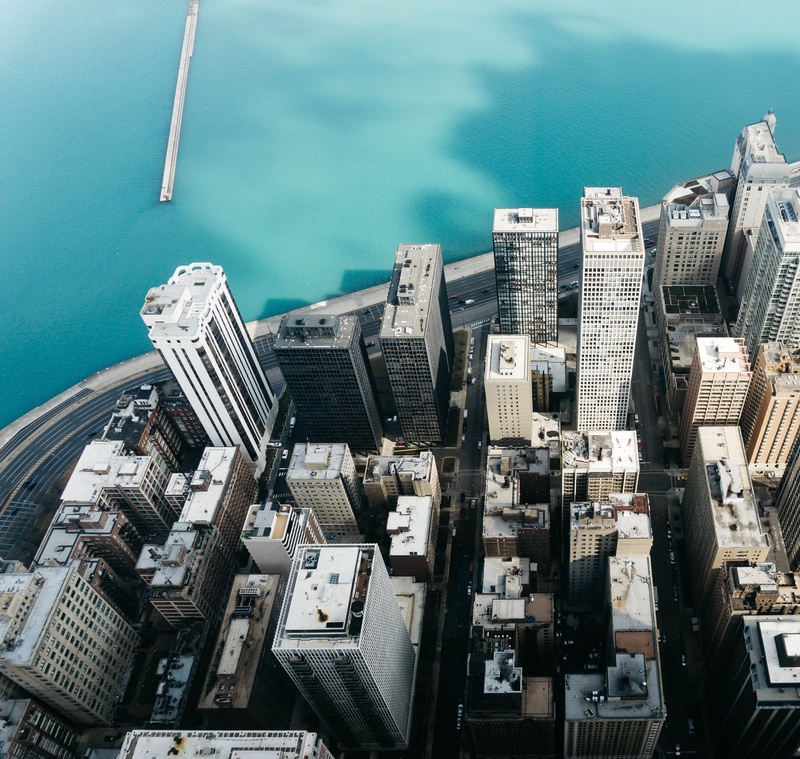 In addition to the tower itself, construction of the skyscraper requires creating a new link between Upper Wacker Drive and Harbor Drive in the Lakeshore East neighborhood, a design that will result in new infrastructure in the City of Chicago. Upper Wacker Drive has been extended east toward Lake Michigan to accommodate Vista’s lobby and eventually connect with Harbor Drive at the lakefront to improve traffic circulation. Pedestrian access will also be improved to the Lakefront Trail. Burnham Nationwide permitted the extension of Upper Wacker Drive to Harbor Drive along Lake Michigan. 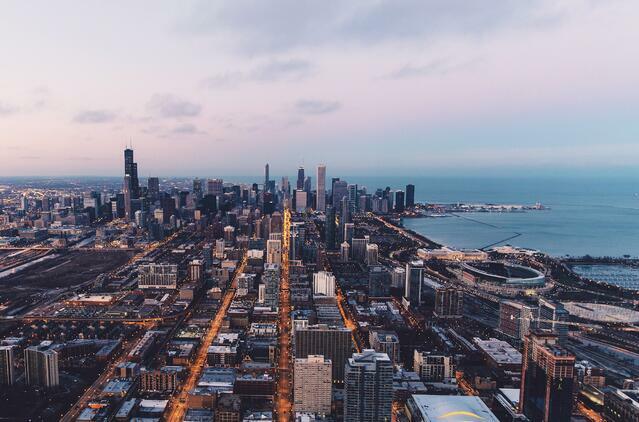 Extensions of a City of Chicago road requires approvals from the Chicago Department of Transportation (CDOT) in a review and permitting process separate from the Chicago Department of Buildings. All work on City property requires a Public Way permit - allowing for closures of the public way, including streets and sidewalks - and Burnham facilitated these permits, along with the required approvals from CDOT. We successfully negotiated the required processes with both departments. Permits obtained also include the required bridge permit and electrical permitting for the new infrastructure that contains custom electrical fixtures and work. The City of Chicago Department of Building’s (DOB) Developer Services process is designed for addressing the needs and challenges of complex construction projects and is mandatory for a variety of projects, including buildings over 80 feet, schools with more than 60,000 square feet, and Business and Mercantile uses with more than 150,000 square feet of space. As part of a Developer Services submission, construction plans are reviewed by a third party consultant reviewer and the process is negotiated through a single point of contact at the DOB. In 2016, the City piloted its Direct Developer Services program which streamlines the plan review process for large development projects, and Burnham Nationwide has been involved with this program from the start of the testing process. Burnham facilitated the submission and approval of the caisson permit as part of the Direct Developer Pilot Program in August 2016, and since that time, has served as the expeditor for all Vista permitting. Approvals required have included departmental reviews such as the Department of Planning and Development as well as Fire Prevention Review, Geotechnical Review, Environmental Review, review by the Mayor’s Office for People with Disabilities, and review by the Chicago Department of Transportation and the Office of Underground Coordination (OUC.) The OUC is responsible for approving all utility work and construction adjacent to the public way during projects with deep excavations including piles and caissons to ensure the stability and preservation of existing infrastructure. Burnham was able to negotiate all permits, from foundation and superstructure permitting to the most recent build-out permit, and completed the most recent permit process via Direct Developer Services in approximately two months. Vista Tower is targeted for completion with all units delivered by 2020 and is currently on schedule at this time. Burnham is currently involved with the permitting process for model units in Vista’s residential component and will continue to obtain permits for the development. Recent updates during the construction process include the addition of a windowless "blowthrough" on the 83rd floor to prevent the structure from swaying in high winds. By law, this floor cannot be illuminated and will likely serve as mechanical rooms once the the skyscraper is complete. Vista Tower will also see a change from green-tined exterior glazing to blue tones and a modest increase in height to 1,198' 5" in the most recent revision. We are thrilled to have been involved in this monumental project and look forward to continuing to watch as Vista Tower continues its ascent as Chicago's newest supertall skyscraper. This post was last updated on July 17th, 2017.